Charming and enchanting this display is the essence of a grand romantic gesture. 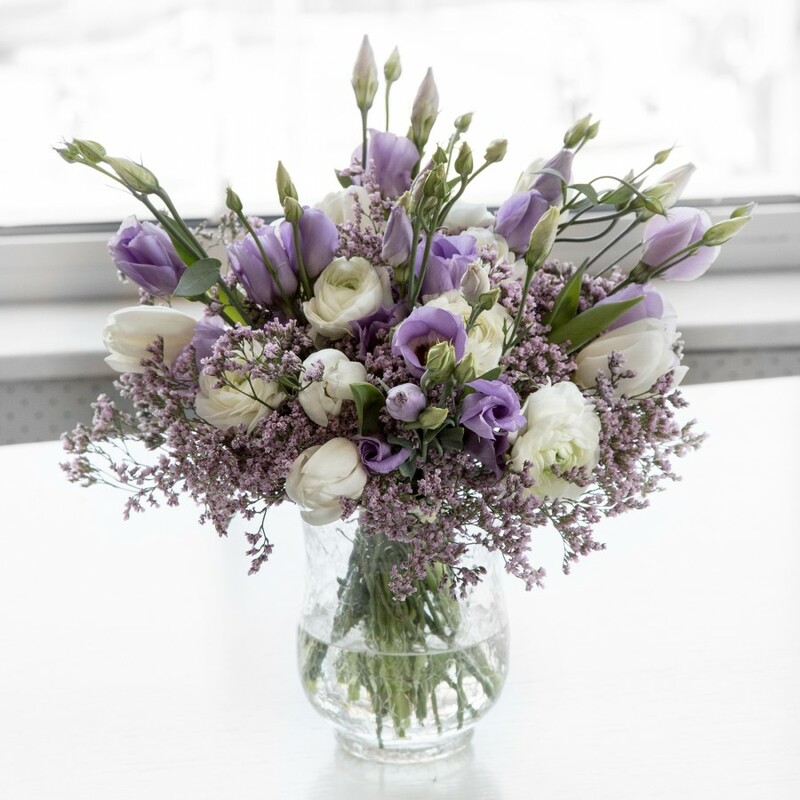 Featuring cool lilac lisianthus, delicate white tulips and soft ranunculus, wrapped with light purple limonium. 5 day of freshness Guaranteed. 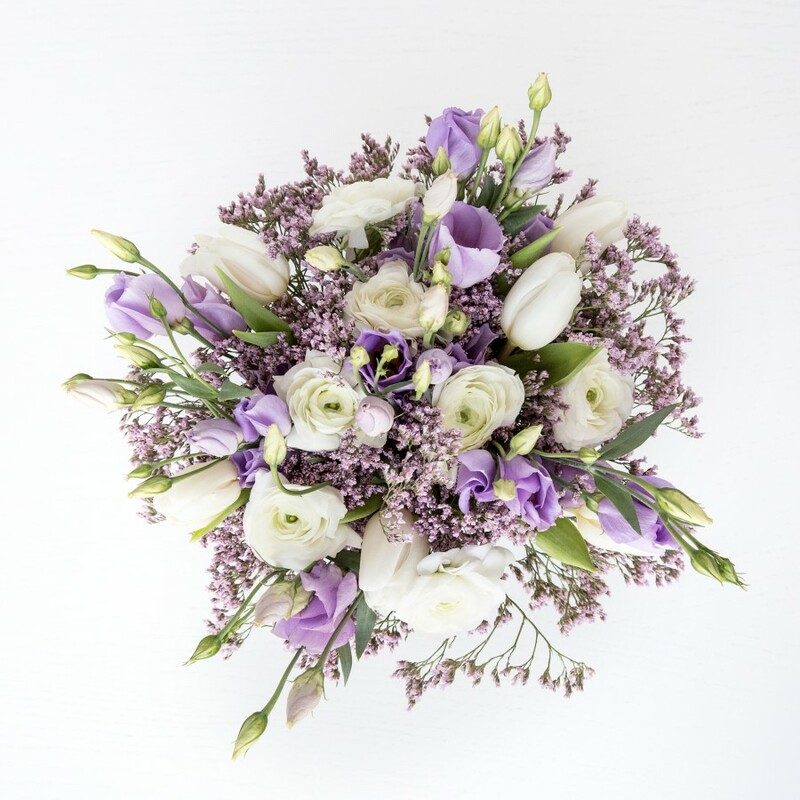 To ensure the longevity of your flowers they will be delivered in bud, so you can watch them bloom in front of your eyes. Vase pictured is for illustration purposes only. Deluxe size available, not pictured. Next day delivery is available for orders placed before 3pm. My husband chose this bouquet for our anniversary. I must say the flowers were absolutely fantastic! Very helpful team. Thanks for suggesting this lovely bouquet. The flowers are exquisite!!! beautiful arrangement. received the flowers this morning without any delay. Top florist in the UK! Sent these flowers as a thank you gift to a dear friend in Oxford. I received an email from the company when my order was delivered. It was very good to know that everything was okay with the flowers and they'd been delivered on time. Thank you for everything! 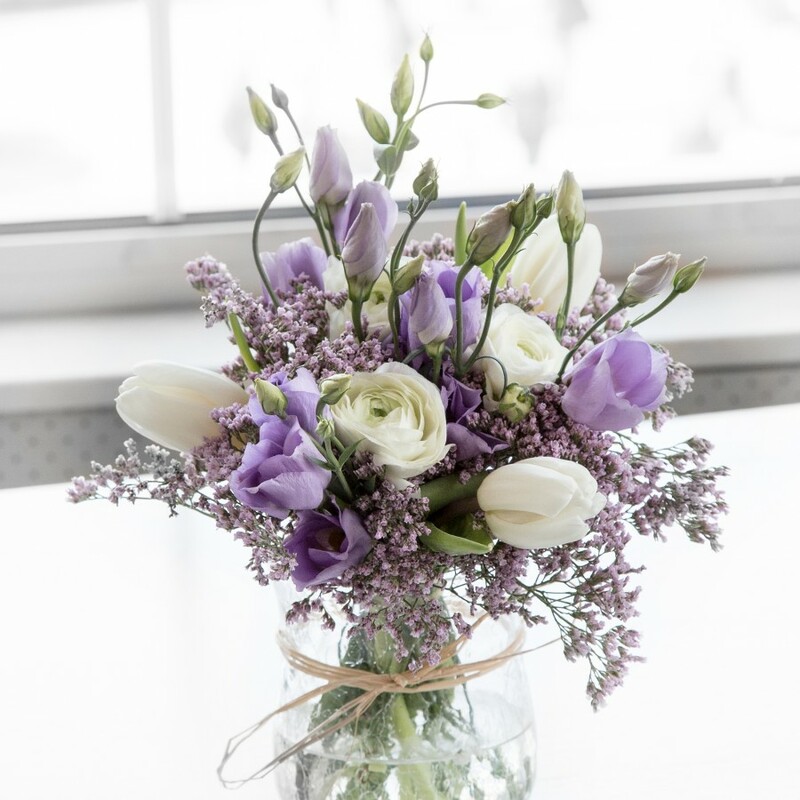 Delicate, sophisticatedly arranged flowers delivered right to my doorstep – that was what I expected and that was exactly what this flower shop provided. 5 stars! A mesmerising bouquet! Love this online flower shop and will recommend it to all my friends! When the bouquet was delivered to me, it looked incredible. I’d chosen Purity because of its classy and elegant look and the product I got didn’t disappoint – it looked exactly like the picture I saw on the website. Thanks! Really amazed at just how easy it is to order flowers online. They arrived on the date I’d specified and were so fresh – really great service to be had here. I bought this for a very special person in my life and was absolutely delighted with the quality and freshness of the flowers when they arrived. Thank you! I’m in the wife’s good books now after these flowers arrived – she absolutely loved them. 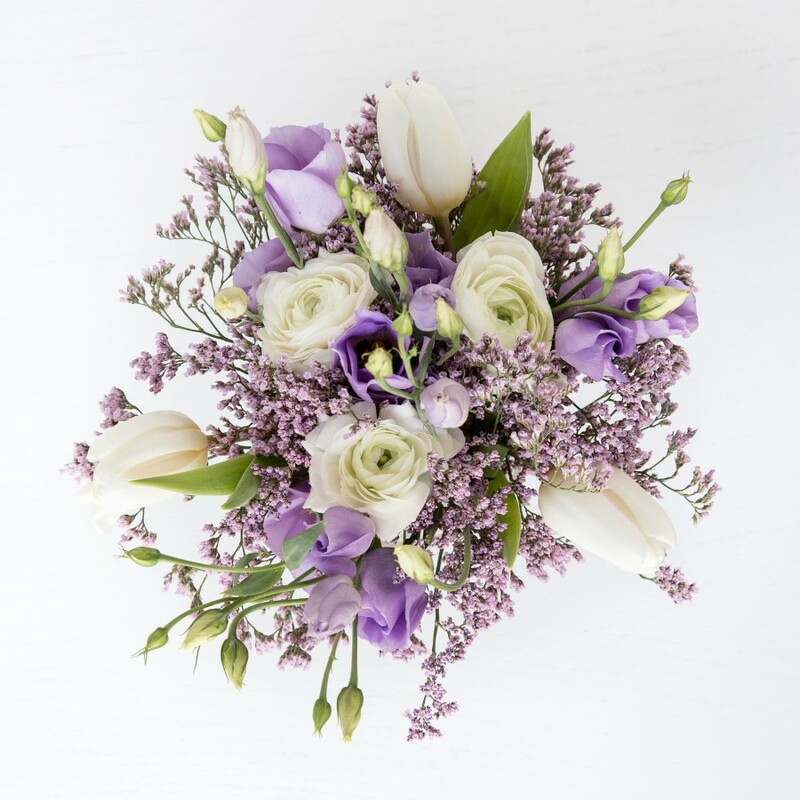 Will always come to Handy Flowers for flowers – they’re reliable, fast and incredibly well priced. Fantastic service as per usual.